How will you know “when you have arrived”? How will you measure progress? What does success look like? When will we know that we have transformed our business? We all want concrete criteria for what success looks like in our transformation efforts. To be effective as digital executives, our teams need to how progress will be measured. SMART goals are always measurable. Measuring progress will help a team stay on track, reach its target dates, and experience the exhilaration of achievement that spurs it on to continued effort required to reach the ultimate goal. How much transformation should we achieve? How many initiatives should we tackle? Indicators should be quantifiable. Measurable goals are important for several reasons. Stronger teams will be created. Value for teams and individuals is demonstrated. It is the leader’s responsibility to make sure that goals are specific and measurable. Anyone, however, can ask the right questions to gain clarification if they are not. If the requirements aren’t clear or constraints identified, it is our responsibility to make sure the goal is restated to make if very measurable. Make sure the goal is very specific and can be measured. 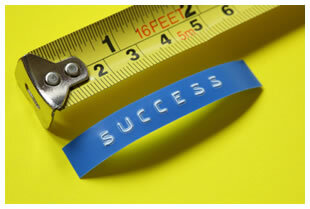 Once you think you have it measurable, rework it again to take it to the next level. Recognize that the measurable goal is probably a “lagging indicator” and begin to think about the 2 or 3 strategic levers that will produce the right outcome.